The result of over two decades of research and the many years of connecting with clients I have developed a simple and reliable process enabling the rewiring of neural patterning facilitating greater flow so you achieve more success in your life with far less effort. Due to the ever increasing demands on our well-being much of our energy is displaced, scattered and unfocused. The Empowered Change process teaches you to re-channel your energy physically, mentally, emotionally and spiritually for yourself and those you love. "I can tell you with certainty that we don’t all have the gifts of the natural type 'A personality type' which the quick fix model easily appeals to. "Don't we all just love and envy those them types......"
Yes, they can teach you ways to move forward however they don’t teach you how to process the energy of negative emotions and beliefs which can form part of our lives and the patterns we default to. This is why they only work for a few days before we come to a shuddering halt. It’s called the ‘weekend high’, loaded with oxytocin and dopamine. It happens to many of us who go down this self-development path, we find ourselves heading back down the same old rabbit hole reverting to the comfort of old habits and familiar patterns. A Case-Study: Let me tell you the story of Chloe. Ten years ago Chloe was a young team leader in the finance department of a large chemical company. Everyone looked up to her and knew she was on her way to a high flying career. She was married to Luke, a loving husband and they were planning a family. Fast forward seven years and they now have three gorgeous children. However, since returning to full-time work her career has stalled and she seemed destined to be stuck in lower management. Her workplace dissatisfaction finds it way home. Chloe and Luke are now constantly bickering about everything from the kids to money, even everyday household decisions. The connection, energy and flow has all but disappeared from their relationship. Intimacy, was rare and unfulfilling. Inwardly, Chloe was ashamed and becoming distant and depressed. Worse still, she was finding it painfully difficult to connect to her young children. She didn’t feel loved or loving or important. She just felt tolerated like an outsider in her own life. Chloe felt at odds with everything about her situation. To get back on track, Chloe began reading self-help books and watching self-help videos online. She even began seeing a therapist. What do you think happened? Do you think Chloe wasted her time and money? Chloe DID achieve some positive changes. She had days when she raced through her work, impressed everyone around her and seemed to be back to her productive self. However these days were few and far between. They happened randomly, rather than being something she could access at will. Empowered change and getting into the zone can be a deliberate process. However, the deeply ingrained habits and patterns you have developed over years will require insight and awareness to facilitate the onset of change. This is achieved through deliberate practice which rewires neural patterning via neuroplasticity. Your life will change when you are in flow. You have more energy and enjoy more success in your career and in your relationships? I’m not interested in making false promises. I know how change works and how to access flow immediately. My model of Empowered Change teaches you how navigate the mindset-map of flow. And I can tell you it won’t be overnight because that’s unrealistic. However the good news is that empowered change and flow IS possible, and you can accelerate it once you understand how it works. Initially it can seem like moving a mountain. Often there are years of inbuilt conditioning and beliefs to unwind first and your mind will try and fight you every step of the way. Why do people find it so hard to embrace change? It is because of an evolutionary inbuilt mechanism known as the Reptilian Brain. This part of the brains primary focus is on the four F’s fight, flight, food and fornication. It keeps us alive and safe. This brain’s only concern is survival and as long as we live through another day it has done its job. The reptilian brain cares nothing for loving/kindness, compassion, success, or productivity. The Reptilian Brain is the source of our resistance to change. Which means if we spend a weekend with a life coach or a guru who motivates our overnight results, but what really happens come Monday, when we try implement these changes or our Reptilian Brain senses unfamiliar territory and fearing change and leads us back down old rabbit hole which, is safe and known albeit unsuccessful and disappointing, “I’ve failed again”. How does the process of change really come about? Change is a process that can be confronting. 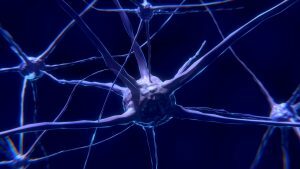 It does not come easily because when “Neurons are wired together they fire together” – restructuring the neural pathways through deliberate practice can free you of years of conditioned beliefs, patterns and mindsets. “Once you 'understand' and 'get' how the Heart Of Empowered Change works you will find changes taking place in your life, achieving your highest potential and invoking your "Inner Healing" from our greater Essence of Self”. Getting into the flow means developing a different relationship to the things which hold us back, the negative thoughts and beliefs which continue to make us uneasy, unhappy and to lose our energy and power. Developing this different relationship allows us to address the cognitive dissonance between our negative thoughts and the positive thoughts and beliefs we experience. Being aware of the dissonance is the first step of empowered change. As our thoughts and beliefs gradually come into a healthy balance we experience a more positive flow and energy in ourselves and our lives. This flow is a sign that we have discovered our potential of the empowered change we dreamed of. We can experience higher achievements and deeper fulfillment building our strong core, and creating the foundation of a new life. This is why change is an ongoing process. We must be able to identify quickly the warning signs so we can address the negative influences which threaten to ruin our flow and drag us back down that old rabbit hole. Then discover more about this process of change by clicking the 'call to action' button or enter your email for free eBook.